On our latest episode of See You Next Wednesday, Greg and Casey picked their own movies for Film Roulette! 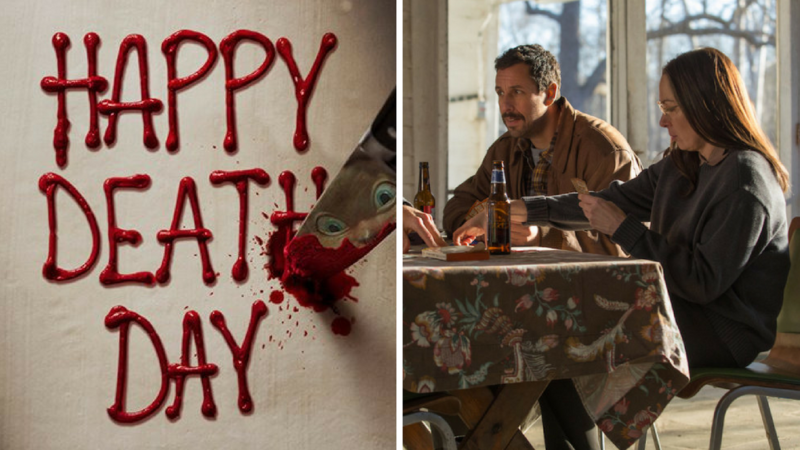 Greg head out to the theaters to check out a brand-new horror flick – Happy Death Day! Does this slick, comedic time-loop horror live up to the high expectations of its October release? Greg has your answer! Then, Casey boots up Netflix and watches The Meyerowitz Stories – is Adam Sandler’s performance really Oscar worthy? He’ll let you know, before Dan sighs uncontrollably and watches the non-MST3K version of 1995’s Werewolf – a thoroughly boring werewolf movie with the most unambitious title ever. Finally, they all light-up and get Stoney with Post Malone. Before any of that, we discuss the movies we’ve been watching as well as some horror picks for October, Nick Kroll’s Big Mouth, and so much more.